This 90cm Fisher & Paykel freestanding dual fuel range cooker gives you a large oven capacity to cook multiple dishes. 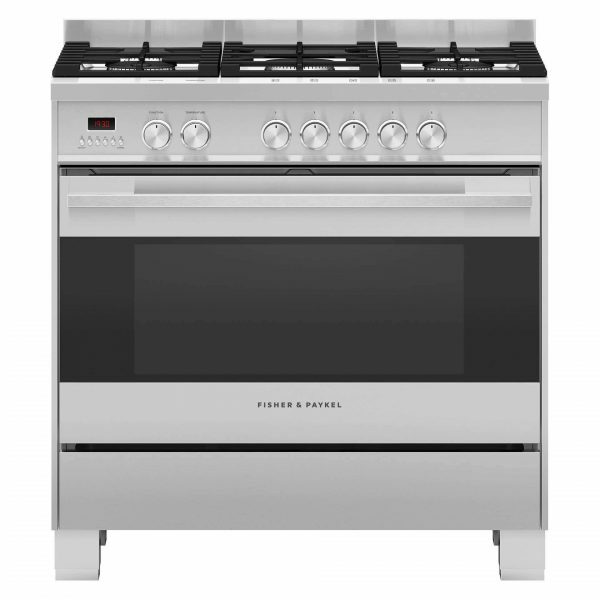 Its instant heat and precise control add to the classic stylish finish. 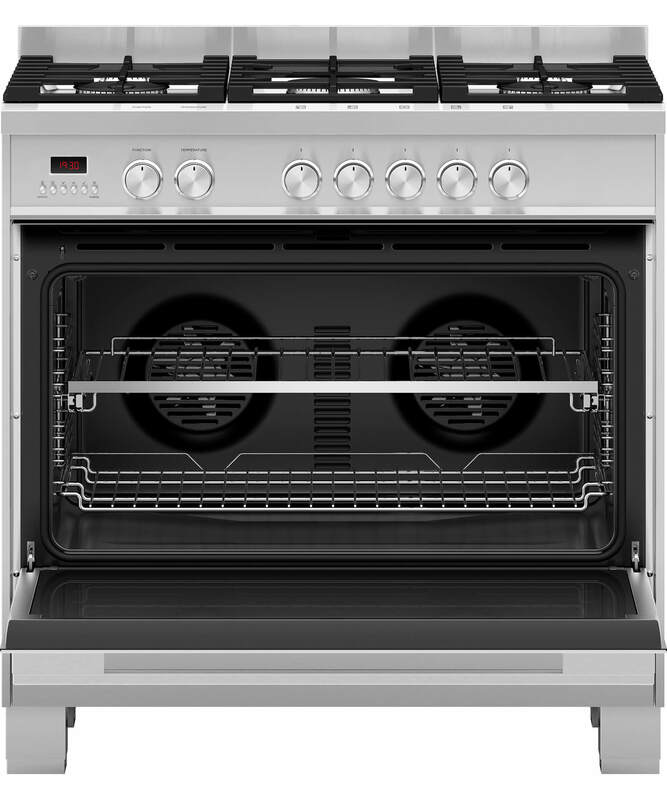 The generous 121L capacity oven gives you plenty of space to cook multiple dishes at once. 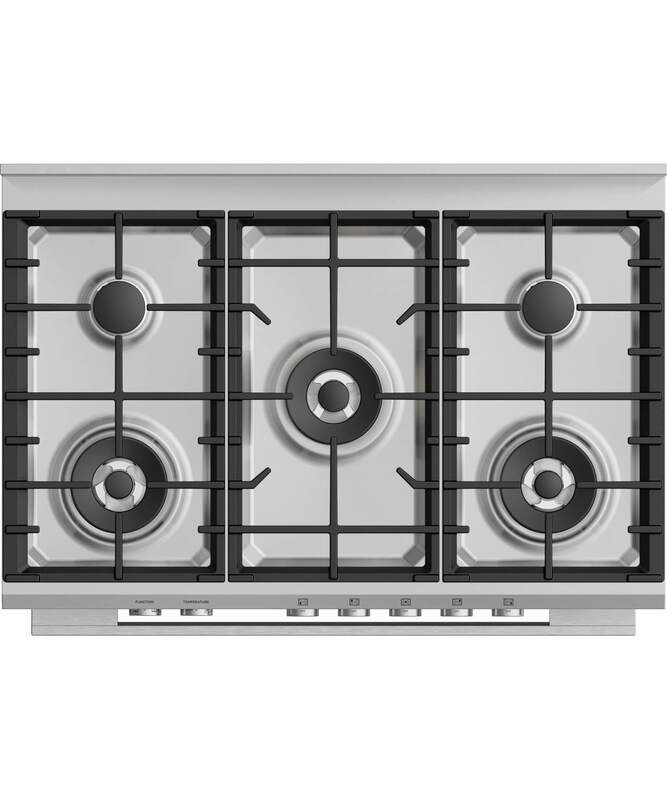 Your cooktop simply needs a quick wipe to keep it looking good as new for years to come, as the gas cooktop is made from a single piece of stainless steel that contains spills. The oven door, its inner pane of glass and runners can also be removed for easy cleaning.